Demand Media went public today in one of the largest and most successful Internet IPOs in a long time. That has to be good news, right? We all want Internet companies to prosper. We all want the financial markets to open up so we have more exit options. Well, without getting into the financials of the whole deal (if you want a good analysis, read here), let me just state that I find the whole Demand model to be bizarre and unfortunate. First of all, if you’re reading this blog, you’re probably not very familiar with Demand Media. That’s because you’re generally smart enough to search and browse the Internet. If you’re not so smart, well, Demand is looking for you. Their business is really quite simple. They accumulate a lot of domain names. They populate those domains with low quality content created by a legion of freelance writers. They then search engine optimize the heck out of that content so that it appears high on Google page rankings. Here’s where it gets really insidious. They then rely on the P. T. Barnum effect to drive revenue. You know…”there’s a sucker born every minute”? It’s actually important to Demand that the content be of low quality. They don’t want you spending a lot of time with the content. In fact, they’d be very happy if you never read the content. What they want you to do is find nothing of interest on the page but find a link in an ad on the page that takes you where you actually wanted to go in the first place or really, just someplace else. When that happens, kaching. They get paid by Google for that ad click. That’s their source of revenue. Period. Oh yes, they’re also a domain registrar but they do that not because it’s such an interesting business but because it gives them inside access to expiring domain names that they might like to own. It’s also important for them to have a really good source of information on what people are searching for so that they can best satisfy that need with their content and domain names. Somewhere soon, Google is going to have jiggle with its indexing algorithm to push these “click trolls” further down in the results page so that the high quality content that you’re searching for actually appears back on that first page. Whether they explicitly punish Demand Media, I have no idea. Probably not. But the net result should be that people who are trying to trick the search engine into presenting you their page when it really isn’t what you’re searching for should end up lower down in the listings. For those of us trying to use Google as a vehicle to find information, this is great news. For Demand Media, not so good. Demand has built a business that today is valued at over $1 billion by gaming the system. Good for them. Not so good for us. The news that Eric Schmidt is being “kicked upstairs” to Executive Chairman at Google, to be replaced as CEO by co-founder Larry Page, has us all reading the tea leaves for what that means for Google. Google is almost as difficult to work with for analysts as Apple and thus, my reflections below come mostly as a long-time, interested observer of Google than any deep insights I have from working with them. I do, however, spend a lot of time working with people who work with Google. The replacement of a CEO by a founder at a successful company is not exactly without precedent. Michael Dell got shunted aside by his Board only to lead a renewal of the company upon his return. What do these people have in common? John Sculley, Michael Spindler, Gil Amelio. Those were the people who served as Apple CEO after Steve Jobs was pushed aside. Thus, there’s precedent for a CEO returning to revitalize a company that has lost its way. Now I’m not saying that Larry Page is Steve Jobs or even Michael Dell. That has yet to be demonstrated. However, make no mistake about it, Google is in need of revitalization. How can I make that statement about one of the industry’s grand success stories? Well, let’s peek under that success. What exactly has Google succeeded at? I and others have long observed that Google’s a one-trick pony even while acknowledging that the one trick is a pretty darned good one. Other than selling advertising on search results pages, what has Google done that has earned money? I’m a big fan of Android, and happily own a Droid, but that’s not a revenue story yet. Clearly the bet is that mobile advertising is going to be really big and that owning the platform is essential to reaping full economic benefit or at least maintaining control of its own destiny. Perhaps true but as yet unproven. That’s largely it from a revenue producing standpoint in the immediate and medium-term. Google’s other initiatives have largely been either failures (e.g., Wave) or acquisitions of interesting things (e.g., YouTube, Picasa) that haven’t particularly benefited (nor been harmed) by Google’s acquisition. Saying “nor been harmed” is actually a positive statement as we’ve seen numerous tech acquisitions over the years where the acquired company/technology disappears into irrelevance. Nonetheless, it’s fair to say that Google’s a one trick pony. Here’s the challenge: that one trick is on the verge of running out, perhaps a victim of Google’s own success. Most of you are probably aware of the acronym SEO. Search engine optimization. Basically it means that it’s important for a web site to show up on the first page of a Google search result either through “gaming” the Google indexing algorithm and/or through buying keywords. Both of those today face challenges. Google used to be magic. When you typed something into its search box, you were presented with the pages you actually wanted to see. Now you see more and more pages that are not really the ones you wanted but instead are ones of someone trying to sell you something who have done a better job of playing the SEO game than the actual content you were trying to reach. And if I wanted the Wikipedia page, which so often shows up first, well, I would have gone to Wikipedia in the first place. Thanks for nothing. I won’t get into the discussion about the challenges to Google’s keywords because either (a) you know this better than me or (b) if you don’t, it’s not really that interesting; just know that there are a lot of dissatisfied campers in the world who are really looking for alternatives, more cost-effective and more effective, than Google. What does this have to do with Larry Page and Eric Schmidt? Two-and-a-half years ago, Google’s Marissa Mayer said search is “90 to 95%” solved. I was in violent disagreement with that then and since then, I would argue we’ve moved backwards. It is getting harder and harder to find what we want and what we need, and the introduction of more complex time and location elements is only worsening the problem. It’s not like Schmidt had a more compelling vision than Mayer as expressed in this interview at the time with Michael Arrington. Google is in need of a reinvention. I was going to say “desperate” but it hasn’t reached that point. Yet. However, search is being reinvented in front of our eyes. For certain things, I don’t go to Google but instead go to Twitter or Quora or Facebook or any of a hundred different sites that give me not an algorithmic result but a human or curated one. And there’s wide amounts of room to improve the algorithmic search taking radical new approaches. I’m not holding up Bing as an example of a radical new approach but it is a step forward with an attempt to divine context when searching and to present “solutions” and not just algorithmically-resulting pages. Cheap shot alert: You know when Microsoft is out-innovating you, you’ve got an issue on your hands. I don’t know whether Larry Page is the man with the vision to reinvent search and reinvent Google. However, I’m pretty sure Eric Schmidt wasn’t that man. Give Page (and Brin) credit for recognizing the “problem” before it really started manifesting itself in true harm to Google’s core business. Google has always been noted for supporting its people in the development of quirky projects which have ranged from the totally inane to the mildly interesting. I’ll be looking for signs now that we’re going to see profoundly new, important and creative approaches to Google’s core business, led and oriented by Page. The one-trick pony needs a new trick. Zenith or reinvention? It’s going to be an interesting year. Recent news reports have linked Apple and Microsoft as potential suitors for Adobe. While Adobe CEO Shantanu Narayan has thrown cold water on the Microsoft discussions and the rancorous relationship between Apple and Adobe renders an amicable partnership unlikely, one name has been absent from these discussions, and they’re the ones who should most likely want to buy Adobe, has the resources to do so and can build an extremely synergistic business case for the combination, and that’s Google. So, why should Google buy Adobe? In a battle for the hearts and minds of developers, Google is missing key elements. Yes, Android is a successful and growing platform but Google’s developer relations are no better than Apple’s, with both of them being substandard. As Google grows out its platform ambitions, with Chrome OS on the horizon, having a well-developed developer relations program will be important in its battles with Apple and also increasingly Microsoft. Do developer relations matter? One could argue that one of the compelling reasons why early Windows beat IBM’s OS/2 in the marketplace after the Microsoft/IBM split in the late 80’s and early 90’s was because Microsoft had strong developer relations and after the split, IBM had to effectively start from scratch and was way behind even while having the technologically superior platform. Developers matter, differentiated applications matter and so developer relations matter. Adobe has a long history with them; Google has none. Google, despite its myriad product offerings, is effectively a one-trick pony: advertising. Of course, if you’re going to rely on one trick, this is a pretty good one to rely on, and Google is an ongoing financial juggernaut. However, to realize their full software and platform ambitions, Google is going to need to broaden beyond advertising as the sole source of their revenue. Adobe presents Google with great opportunities to grow into traditional software licensing models. While Google advertising opportunities have enabled “freemium” models to flourish on the web, paradoxically Google itself has not benefited from such models. Over 98% of Google’s revenue derives from advertising and there are scant opportunities to upgrade from free Google products into revenue-producing ones. Adobe offers several such opportunities, from consumer-oriented ones like moving from Picasa to Photoshop to enterprise-oriented ones like Acrobat. While Google has major cloud computing infrastructure initiatives in place, the early market has been dominated by key emerging competitors Amazon, Microsoft and Salesforce. Adobe has interesting infrastructure elements that expand Google’s presence in the cloud architecture space. As noted earlier, Google’s enterprise approach is largely lacking. One could have said the same of Apple, who has pursued a consumer-driven strategy for virtually all of its corporate life. It was interesting to see, therefore, Apple’s announcement earlier this week of a partnership with Unisys to better help integrate Apple technologies (notably the iPhone and iPad) into enterprise architectures. Google, too, must pursue external relationships to meet real customer requirements but an Adobe acquisition would give Google some much-needed internal support capabilities as well. As mentioned earlier, I still believe Google should acquire Salesforce.com to expand its software and platform capabilities and to dramatically expand its enterprise support capabilities. Google is going to have to either acquire Salesforce or get serious about competing with them. Either way, an Adobe acquisition would be a step in the right direction. Lastly, this makes sense as a defensive move. To the extent Apple and/or Microsoft are seriously looking at Adobe, it would hurt Google were they to acquire Adobe, necessitating Google to adopt a piecemeal solution to the elements addressed above. So why should Adobe be interested in a Google acquisition? While I hardly embrace Steve Jobs’s bombast about Flash, it’s clear that HTML5 presents a significant challenge to one of Adobe’s major and enduring platforms and thus from a purely financial perspective, this may be the best time to sell. Adobe’s cross-platform arguments diminish in a world where there are fewer platforms and different requirements. If, as I have argued, the mobile world is coalescing around Apple IOS and Google Android, and Adobe’s presence on one of those platforms is insecure at best, the rationale for an Adobe solution is dramatically diminished. Further, with the different requirements of a mobile platform, with its lesser hardware power, the ability to support interim software layers is not as clear-cut as on the desktop, or in the cloud. Mobile devices are heavily about the integrated experience and Adobe doesn’t play well against that requirement. 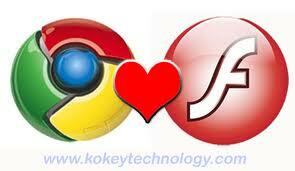 Adobe is a better fit with Google. With Microsoft and Apple both, there are significant overlaps in the product portfolio and/or minimal interest in some of the pieces with the the likely result being that core Adobe products and platforms are discontinued or sold off. There is little to no overlap with Google and yet strong synergies; thus the ability to preserve the product portfolio, and the driving vision behind it, remains largely intact. As I discussed in my last post, mobile is a space Microsoft needs to win if it’s to remain as relevant in this decade as it was in the last two. I’ll never underestimate Microsoft’s power and, more importantly, its stubbornness/tenacity in battles it must win. However, there are so many moving parts in this space and so much potential for Microsoft’s efforts to go awry that it’s very hard for me to develop any enthusiasm for Windows Phone 7, launched yesterday. Does Microsoft’s approach make it harder for application developers to achieve prominence? With Microsoft controlling so much of the initial user experience, applications are relegated to a less prominent position. This might discourage application creativity in areas Microsoft considers “core,” like pictures or social networks, and might hurt application developers whose applications might otherwise be considered core by users but are relegated to less prominence on WP7. How many platforms can the market support, anyhow? It’s clear Apple is a long-term survivor. I don’t say “leader” because ultimately that’s not their business model. They don’t play in high volume, low margin spaces and make no mistake about it, the smartphone market is going to be high volume in very short order. Blackberry is positioned to be a survivor as a niche solution. Their investments in corporate-relevant infrastructure mean that they can be a trusted provider for key scenarios even while other providers infringe on them at the margin. That means that Android, HP/Palm, Nokia/Symbian and Microsoft are left fighting for markets that can only support one or two of those parties. The decision may actually rest on more than just smartphones, which leads us to our next discussion. Whither the tablet. Android needs rework to adequately support tablets. HP is going to move Palm into a variety of Internet-connected devices, including tablets, printers and more. What’s Microsoft’s tablet strategy? I’ll need more time looking at WP7 to assess whether this is a viable UI for tablets or whether it’s more likely to be some evolution of Windows not-Phone 7. If, however, WP7 is not a tablet or other embedded device OS, that constrains the market opportunity for WP7 and thus its attractiveness to application developers. Velocity. Microsoft’s track record at getting operating systems out the door is, well, spotty. (I’m feeling charitable today.) The velocity in the phone market is a radically different dynamic than on the desktop. Upgrade cycles are measured in weeks and months, and certainly not years. Is Microsoft going to be able to maintain that pace and do so in a way that doesn’t jeopardize product quality. Their track record is sobering. However, Microsoft is in an interesting position when it comes to the carriers, especially here in the States. The carriers have a love/hate relationship with Apple. They’d love to have the iPhone. They hate that Apple gets to dictate all of the terms. With Google, it’s more of a wary situation. While Google is more complicit with the carriers than Apple, the carriers are (rightly) suspicious of Google’s motivations. If Google isn’t exactly making money licensing the core platform, then what’s in it for Google? Clearly Google views this as an essential step in moving its ownership of the search space on desktops into a mobile world. Thus, at some level, Google’s economic rationale and that of its partners are competitive and/or misaligned. That doesn’t make for a great partnership. Google competitors all around are trying to drive stakes into that misalignment with these patent lawsuits that further the economic risk elements and point out some of the inequities in the relationship (I get the benefit, you assume the risk). That said, unless we’re about to change the patent landscape and head to Armageddon like situations, these things usually resolve themselves with small amounts of money changing hands. I actually think that should one of the involved parties pursue these patent matters to full resolution, it will be counter-productive and will in fact hasten the time when we see patent reform up to and including the elimination of software patents, many of which, to this outside observer, seem, well, patently absurd. So where does this leave Microsoft? To the carriers, Microsoft may actually seem like the most benign of the three partners. At least they understand Microsoft’s licensing model and appreciate the fact that Microsoft was their complicit partner on earlier Windows Mobile platforms (even while such complicity rendered the platform in need of its very replacement). Again, I’ll write about my dislike for the carriers in a future posting. They still hold to a desire for control that is unhealthy for the ecosystem and for us users. But given that they hold on to these notions, their desire to partner with someone who will cow-tow to their mandates is strong. If Microsoft’s willing to be that partner, all may not be lost for them.